Our thanks to Flyclops for sponsoring this week’s RSS feed. Domino! is a beautiful game for the iPhone, available Free on the App Store. Domino! for iPhone is a beautiful rendition of the classic game that’s been played for thousands of years – but now you to play anyone, anywhere in the world at your own pace. In case you and your opponent end up online at the same time, Domino! gracefully moves between turn-based and real-time play. 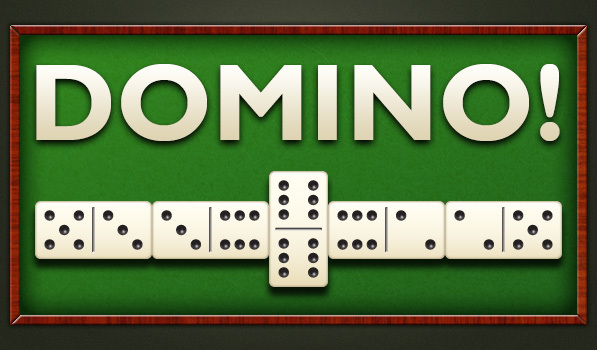 And where many turn-based games are overly complicated or take long periods of time to complete a move, Domino! is unique in its quick play, allowing you to make moves in seconds and play all of your friends at once. No more abandoned games, no more feeling overwhelmed by how many turns you have to make. With tens of millions of moves made in less than 60 days since Domino! launched, the people have pretty much spoken – they love Domino! And of course, you can play for FREE. Grab Domino! now, connect with Facebook, and start playing your friends or random opponents immediately. Not sure how to play? No problem, we’ll teach you. Have fun! Coming very soon: no more Facebook requirement for multiplayer mode, look up friends using your iPhone address book, a new rematch engine, a brand new real-time engine for even faster real-time play across-the-world, shared preferences across devices, and more!